My mission is to ensure that everybody has a better cup of tea in their cupboard, and what better way to raise awareness about good tea than through tea and art? I was invited by the Queensland Gallery of Modern Art (QAGOMA) to take part in an exhibition commissioned by world renowned artist, Cai Guo-Qiang. Cai was born in the Fujian province of China which is home to some of the most respected tea in the world. Cai is best known for using gunpowder as his medium for his art, and was Director of Visual and Special Effects for the opening and closing ceremonies of the 2008 Summer Olympics in Beijing. Yep: the fabulous fireworks at the Olympics were his work! Inspired by a visit to Queensland, Cai created an exhibition to encourage us to reconnect with nature. The final part of the Falling Back to Earth exhibition involved a Tea Pavilion: a space created for art lovers to sit with family and friends to reflect on the exhibition they have just witnessed and what better way to reflect in amongst the Eucalyptus tree (the third part of the exhibition), than with a sip of tea. Ever since I started MayKing Tea, I always wanted to put something back into the communiTEA with some of the monies I had made with my business. Choosing the type of chariTEAs I wanted to work with, was an easy decision to make as when I did more and more research into tea. I was inundated with studies that suggest that increasing tea consumption can keep conditions such as heart disease, stroke, Alzheimers and even cancers at bay. Both my parents drank tea until the cows came home (both Chinese tea and English Breakfast) but they both had cancer at some point in their lives. Luckily for both of them, the cancer was caught very early on and both of them survived. I just wanted to put it out there that despite the tea may parents sipped, the big C affected them both too. Tea can help but it is not a miracle cure. My parents were truly inspirational during their journeys. Dad chose not to go through chemotherapy and think posiTEAvely through the experience which I thought was truly truly aMAYZing, and when mum went to surgery and was told to rest for 6 weeks, after 2, she went back to lugging 10 Kilo sacks of spuds for the chip shop we all worked in. After starting my business, I made a tiny promise to myself to get involved with chariTEAs that help cancer patients or research into this disease. I have conducted several Biggest Morning Tea events in collaborating with LikeMinded businesses such as Scrumptious Reads, Tlicious and Tea Therapy. This year, I had the privilege of meeting a cancer survivor, Natalie Fitzgerald, whom wanted to give back to the chariTEA that helped her through her journey. After a few TEAm meetings with friends and family, #tradiesgopink was born. You can read more of her story here and if you follow the TradiesGoPink Facebook page, you will see just how much local attention and support her campaign is getting, including a little TV slot which tugged on the heart strings of a 9 year old boy who is also doing his bit for the cause. Tradies Go Pink hope to raise $10,000 for the McGrath Foundation and $10,000 for the National Breast Cancer Foundation. Read more about the two tradies here, who are both having their dreadlocks dyed pink this Saturday and are going to have them cut off on February 9th on what looks like a fantastic family day out in Harrup Park, Mackay. Happy New Year Tea Lovers! Yep it’s that time of the year when we have increased a notch or three on our belts; we can’t see our feet for our tum tums, and our TV screens and our Facebook and Google Ads are inundated with advertisements telling us of the latest fad that will help us to lose 10kgs in a day. The thing is, what I am here to tell you is that Tea is not the miracle cure that will help us to lose weight immediately. With the amount of tea that I drink on a daily basis, I ought to be Victoria Beckham sized, but I’m not because I love my tea, I love my food but I just don’t like exercise so much!! Tea does have a whole host of health benefits, but tea has to be consumed as part of a healthier lifestyle. Drinking tea alone and nothing else might help you to lose weight in the short term, but your body needs other nutrients, vitamins and minerals that it cannot gain from tea alone. Besides, just drinking tea alone and not eating any food, will make you extremely ill. I do not recommend it. So what are the health benefits of tea? I have delivered several tea note speaking gigs where I help to explain the various health benefits and I wanted to start by telling you about Antioxidants. Or rather, this video will help to explain what they are and how they can help you if you incorporate tea as part of a healthier lifestyle. But what about the other health benefits of tea? I created a slide presentation when I first arrived in Australia to explain the health benefits and I continue to use the slides to this day. If you click on the picture below and then click on save to download this presentation, take a look at the notes underneath each slide, this will give you more information about antioxidants and the other health benefits that you can find in tea. As you can see, if you take the first letter of each of my top 10 tips, what do you get? Why! MayKing Tea of course!! Enjoy and Happy New Year tea lovers! Many thanks to Kerrin Smith for the production of this video and others. It’s been a while since I’ve written in my blog and I must apologise. I have been active on Facebook, Twitter, Pinterest, Meetup and Google+ to a lesser extent, but blogging, yes, I didn’t prioritise and make the time. But I’m hoping to change all of that because many tea lovers will ask me private questions about tea and I’ve addressed these great questions and ought to share with the rest of the tea lovers in the world. So yes, I promise to you readers that I will write regularly but in between those times, I do suggest you follow me on any of the Social Media links above and you can always post your questions there too and I’ll do my best to answer. This herbal infusion is called Ashitaba. I won’t tell you the ins and outs of it as you can read more about Ashitaba Herbal Info here. What I like about this herb is that aside from the compelling studies that the leaflet has alluded to, many of my customers have said that it has made a difference to their lives. From helping them to sleep better, alleviating them from their pain to “I just like having a caffeine-free beverage before I go to bed”., it is a beverage that mimics all of the health benefits of tea but without the caffeine. That is the best thing about this herbal. It has been placed in a teabag (and I have always advocated that not all tea bags are created equal 😀 ) because the company want to protect its patent on the roasting technique that has been applied to this herbal but the material used to make the teabag is fully compostable and not bleached. Win for tea lovers susceptible to the effects of caffeine and a big win the the environment. So there we have it. My herbal of choice is called Ashitaba and I’m one of those tea lovers that drink this tea not because of the whole host of health benefits it has, but because I like the roasted taste of this caffeine-free beauTEA. I hope you enjoy it. P.S. I was privileged to have attended Alison Taafe‘s book launch on Saturday 21st September at Scrumptious Reads. Alison talks about antioxidants (which is present in tea and also in the Ashitaba Herbal) and the importance of cooking well in order to eat better and feel better. Her book is inspired by the journey she shared with her sister in battling cancer and is an inspirational story. Do please check out her book with some aMAYZing recipes. You won’t be disappointed. What is a Gong Fu Tea-Tasting? Gong Fu Tea-tasting is an art form in which many chinese people take their daily beverage. Gong Fu or Kung Fu may conjur up images of martial arts but the translated words merely means the art of doing something well. 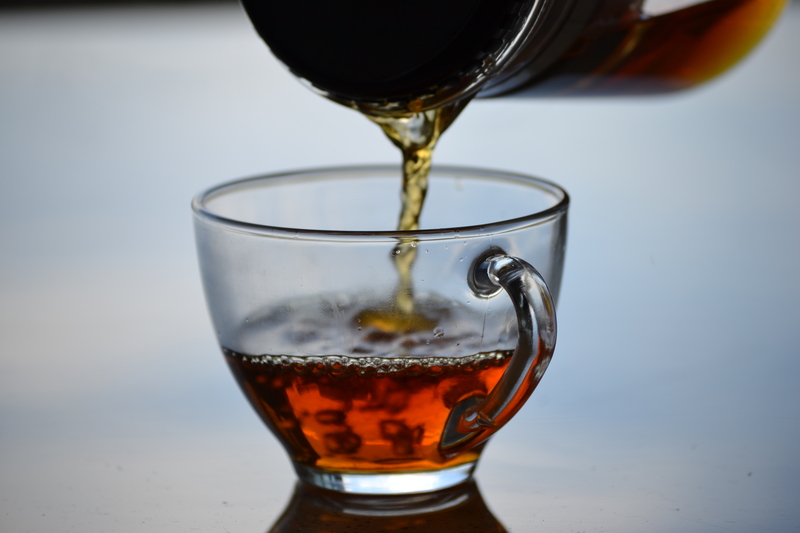 Drinking tea is not just about the fluid intake but it’s about the admiration of the dry leaf, the aroma of the liquor (the liquid derived from the making of the tea) and, of course, in the final tasting of the tea. What’s in a name: the origins and hidden agenda of the name ‘Oolong’? I’ve had the privilege of tweeting and G+‘ing with Derek Chew. Derek is the founder of Peony Tea S., is extremely knowledgeable about Chinese teas; shares some fabulous pictures of his tea and runs a retail tea company based in Singapore. I felt extremely flattered that he asked to write a guest post and here is his post on the origins of the name oolong. So, pop the kettle on, make a cup of tea, oolong is optional 🙂 and enjoy this fabulous ar-TEAcle. Thanks for your con-TEA-bution Derek. 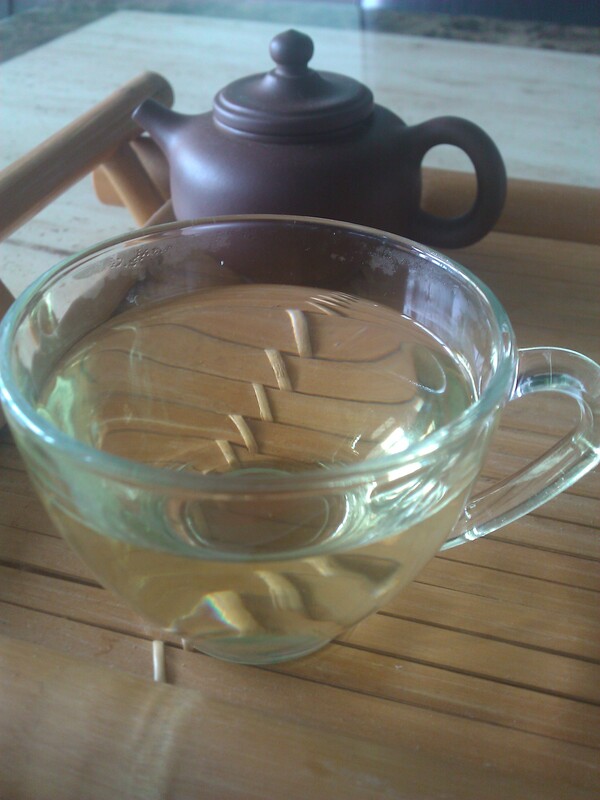 The name Oolong or wulong if spelled in hanyu pinyin is literally translated as ‘black dragon’. With a name like that you can count on there being a story behind the tale. In fact there are quite a number but let us look at 2 of the more popular ones and the hidden agenda behind them. There was a farmer who was had picked some tea leaves and placed it in the basket slung across his bag. He was on his way home when he saw a rabbit in his path. Spotting dinner, he gave chase. Past the trees, crossing bushes in a single leap and overcoming numerous obstacles before the farmer finally captured his prey. All these acrobatics accomplished with his trusty basket in tow. That night, as he sat down to enjoy the spoils of his hunts, he brought out his tea leaves to wash down a sumptuous meal when he discovered the aroma from the brewed leaves were simply divine. He returned the next day to the bush where he picked those leaves and gathered a few again but the fragrance was considerably lessened. After some time, he surmised that it must have been related to the shaking and vibration in the basket while he was pursuing the rabbit. The farmer experimented with shaking and tumbling the leaves until he finally came up with a finished product that captivated the people around him and the rest was history. The farmer’s name was Hu Liang which sounded like Oh Leong or Black Dragon in the local Anxi dialect and eventually that name stuck. Another tale is more rooted in history than mythology. In the Tang and Song dynasties, the tribute teas of the day were produced in compressed ‘cake’ forms- not unlike the Pu-er bing of today- known as Long Feng Tuan or Dragon and Phoenix Bundle. Wuyi Mountain was one of the foremost producers of Long Feng Tuan and the farmers thrived for generations. In 1391, their worlds came crashing to an end. The founder of the Ming Dynasty Emperor Hong Wu (or Zhu Yuan Zhang) came from a peasant background and empathized with the labor of the farmers. He abolished the Long Feng Tuan as he felt it was purely ornamental and was unnecessary work for the farmers. The producers of Wuyi Mountain were unable to cope with these changes and fell off the map. Fast forward a couple of centuries, the Wuyi farmers experimented with the Songlo high-fired baking methods and eventually came up with a new type of tea. In remembrance of their earlier incarnation and the appearance of the new tea leaves, it was named Black Dragon or Oolong Tea. Besides the element of mystique and drama, there was a hidden agenda- to establish either Wuyi Mountain or Minnan as the original birth place of oolong tea. In China, there is an emphasis on being the originator as evidenced by a slogan that remains common today- “正宗原味” or “true ancestry, original taste”. If you go to Taiwan or China, these 4 words appear in numerous eateries as it is a common belief that the originator is the best. These tales had an element unique to their place of origin and having a story not only created human interest but lent credence to the argument of them being the birthplace of oolong tea since it fit in with the history and culture of the place. So when you hear a fancy story about some tea, remember there may be a hidden agenda behind it. Derek Chew has never met a well-made oolong tea he didn’t adore.